PrintGrouping: determines if grouping will be printed. PrintSummaries: determines if summary rows will be printed. PrintHiddenRows: determines if hidden rows will be printed. 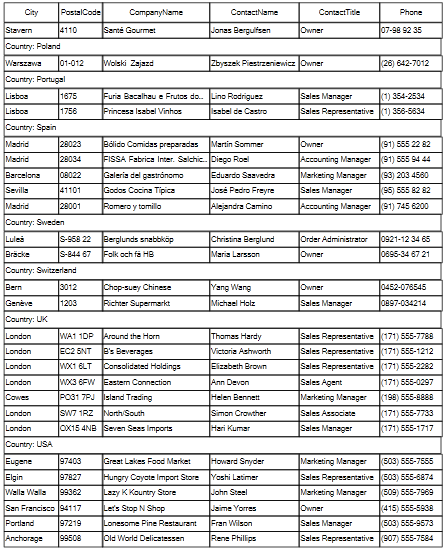 PrintHiddenColumns: determines if hidden columns will be printed. PrintHeaderOnEachPage: determines if header cells will be printed on each page. FitPageWidth – the grid is resized, keeping the columns width ratios, so it would fill the whole page. You can also set the header cells font, data cells font, group cells font and summary cells font. 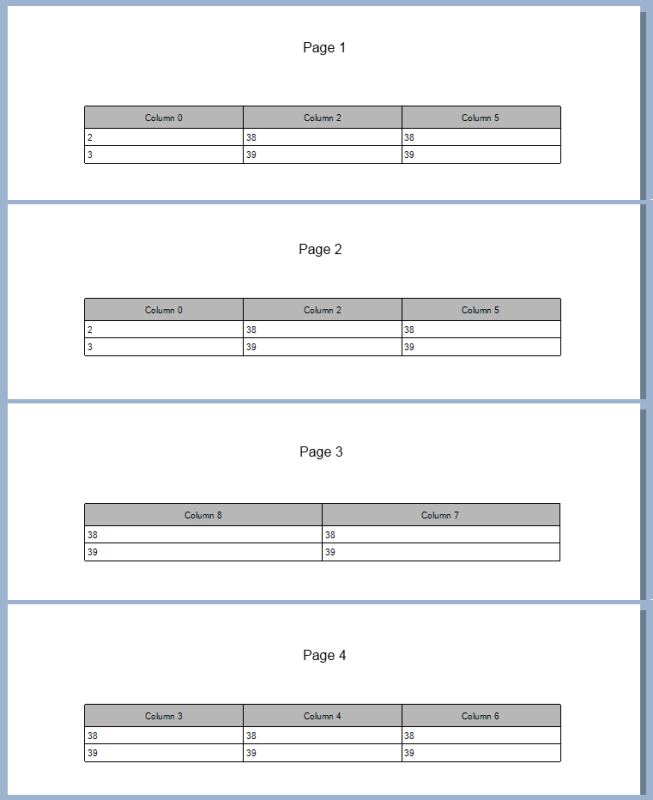 Page 1 will contain the grid columns at indexes 0, 2 and 5. Page 2 will contain the grid columns at indexes 0, 1 and 9. Page 3 will contain the grid columns at indexes 8 and 7. Page 4 will contain the grid columns at indexes 3, 4 and 6.